Sudan president Omar al Bashir. Hundreds of protesters, mostly students, took to the streets in and near Khartoum, continuing a three-month wave of demonstrations that poses the most serious challenge yet to President Omar al-Bashir’s three-decade rule. Students, activists and others frustrated with economic hardships staged almost daily demonstrations across Sudan since December 19, calling for Bashir to step down. Police used teargas on Monday to disperse students from Eastern Nile University protesting in Khartoum North and other demonstrators on Sitteen Street, in a number of upmarket neighbourhoods, witnesses said. At least four demonstrators were detained by security forces in Khartoum 2, an upmarket area in the heart of the capital where dozens protested, a Reuters witness said. Security forces used batons to disperse the demonstrators, some of who torched car tyres. Police used teargas, batons and sometimes live ammunition to break up protests. Officials confirm 33 deaths in the unrest since December, but activists say the toll is significantly higher. Opposition organisers often give protests a theme for the day – Monday’s was for “student martyrs”. Demonstrations on Sunday, which drew thousands in and near Khartoum, were for “graduates and the unemployed”. 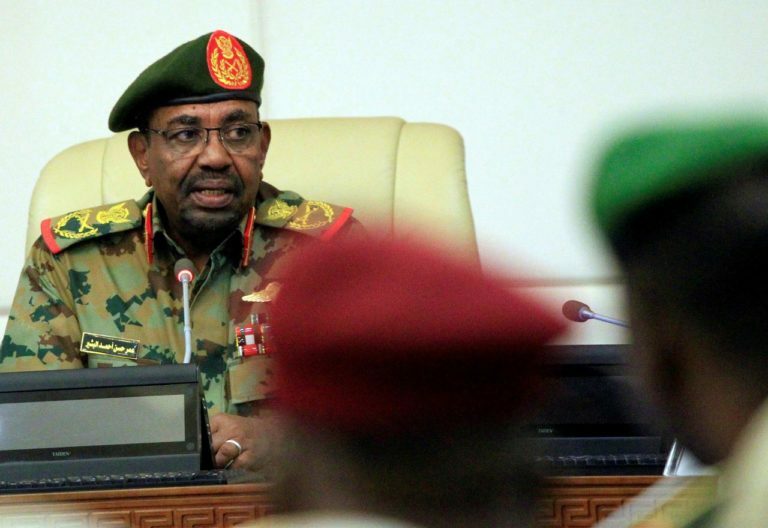 Bashir, who took power in a military coup in 1989, promised during a swearing-in ceremony for a new cabinet last week he would engage in dialogue with the opposition. The opposition rejected dialogue with Bashir and continues to call for him and his government to step aside. Last month Bashir declared a state of emergency, dissolved the central government, replaced state governors with security officials, expanded police powers and banned unapproved public gatherings. That has not stopped protesters, who stepped up demonstrations in recent days.